Our fresh homemade fudge will stay fresh up to 4 weeks if stored at room temperature. Placing our fudge in the refrigerator will reduce freshness. 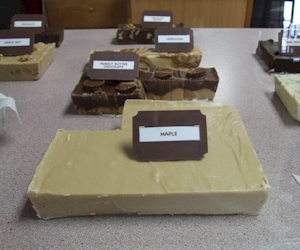 Fudge shelf life can be extended up to 1 year by placing in the freezer. If freezing fudge, cover with both a plastic & foil wrap. When removing fudge from freezer it must be thawed while still inside both wraps. Please note, thawing fudge while still wrapped keeps it moist & fresh.